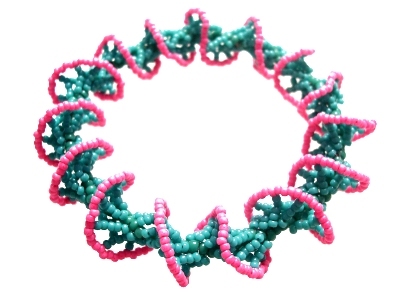 This bracelet is based on the spiral rope technique I worked out for adding fringing and embellishment as you bead. I realised that after beading a fringed piece I could go back afterwards and join all of the end beads to make a continuous piece. This bracelet and technique are taught in my Spiral Rope Class.